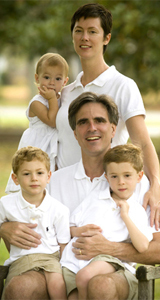 Randy Pausch Dies at 47. Carnegie Mellon Professor, pioneer in the field of virtual reality, and author of the best-selling book “The Last Lecture”, Randy Pausch died yesterday of complications from pancreatic cancer. I first became aware of Randy Pausch when a friend sent me the YouTube link of the now famous lecture, recorded in September of 2007, that was to inspire the book. All she said was, “You have to watch it.” If I had seen how long it was, I might have hesitated, but I didn’t and I watched. When I finally looked at the time bar to see how much more there was to go, it was because I didn’t want it to end. In 1 hour and 16 minutes, Pausch, who knew he was dying, took his audience on a journey through his childhood dreams, and the lessons they taught. The impossibility of a dying man giving a lecture that was so joyous, so full of life, and so positive struck me, and more than 4 million others who have watched. When the lecture ended, after I sat for a moment, I wondered if he was still alive. After a quick Google search, I found his blog. He was still here. For months now I’ve been checking in once a week or so, just to see how he was doing. On good days I smiled, on bad days I read with a lump in my throat. When the book came out, I bought it. Dedicated to his children, it is filled with all the things he would never be able to say, and all the life lessons he would never teach. He knew he would not see his three children grow, so he did the best he could, with courage, humor and love. What he left was truly an amazing legacy. If you ever need to be reminded to breathe the air, find joy in being, and walk the Earth in gratitude, listen to his story. It’s rare that any person is able to help so many others see the world anew. 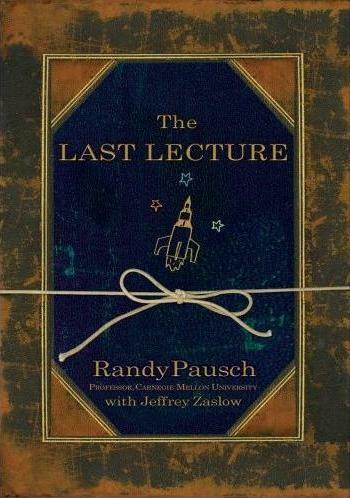 So, thanks and farewell to Randy Pausch. Comments : Comments Off on Randy Pausch Dies at 47.